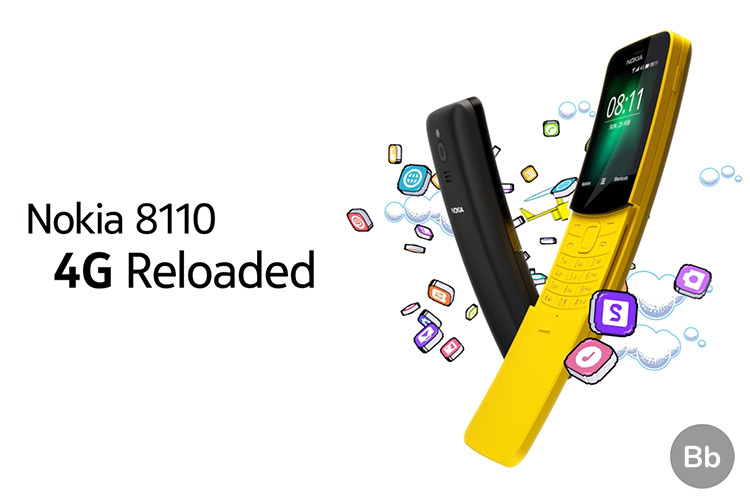 During the Nokia 3.1 Plus smartphone launch, HMD Global took all of us by surprise by announcing the availability of Nokia 8110 4G ‘Banana Phone’ for the Indian market. Yes, the nostalgia induced banana phone from the movie The Matrix will finally be available in India. The Nokia 8110 4G, which was launched back in Mobile World Congress earlier this year, will go on sale in India starting October 24 for Rs. 5,999. It features the same legendary slider mechanism and is loaded with KaiOS, with which you can access apps like WhatsApp, YouTube, Google, etc. In India, you’ll be able to buy the dual-SIM 4G variant of the phone. It sports a 2.4-inch QGVA curved display, and it is powered by a 1.1GHz dual-core Qualcomm Snapdragon 205 SoC. There’s also 512MB of LPDDR3 RAM on-board along with 4GB built-in storage. Sadly, you won’t be able to take selfies due to the lack of a front-facing camera, but you do get a 2MP rear camera. The curvature of the body also houses 1,500mAh battery which is claimed to offer up to 25 days of standby time. On the software front, just like the JioPhone 2, the 8110 runs on KaiOS and has a ton of Jio apps like MyJio, JioTV, and more. In terms of the features, the Nokia 8110 4G will offer you a long list of features. Thanks to the KaiOS, you won’t any issues using the Nokia 8110 as a ‘smart feature phone’. The phone also comes with a bunch of pre-loaded games including the iconic Snake game. 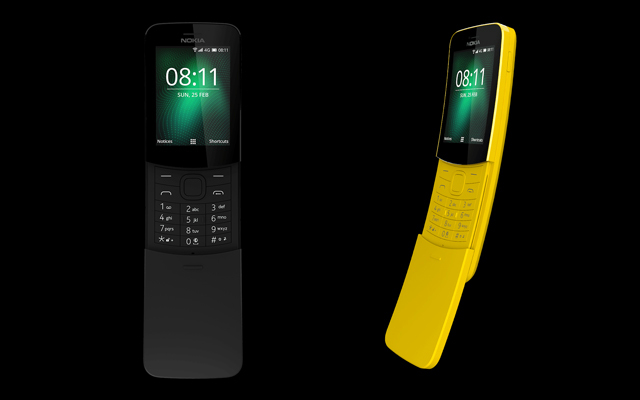 The Nokia 8110 4G will come in two different colors – “Traditional Black” and “Banana Yellow”. It will be available exclusively on the Nokia online store and in retail outlets.